New to Sailing? No Problem! Leave it all to Professionals! 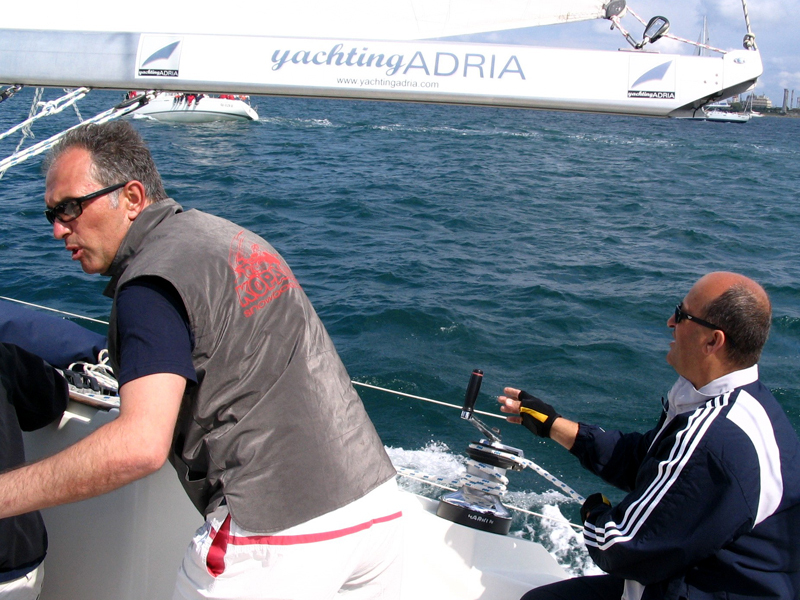 Our skippers are certified professionals with vast sailing experience. They know the best anchorages, restaurants and places of interest. 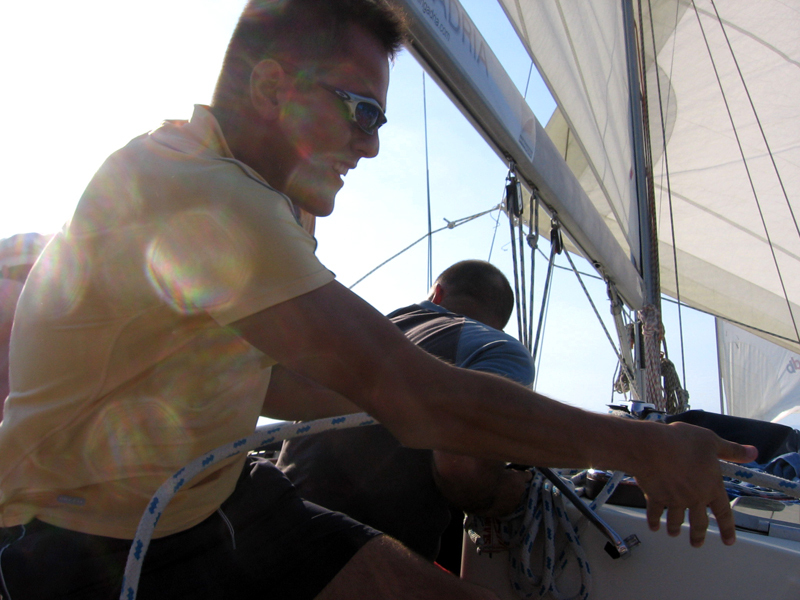 Lear the basics of sailing or just enjoy the voyage. Skipper is in charge of the yacht’s navigation, mooring, anchoring and keeping the deck and cockpit of the yacht clean. He will always give his best to meet all charterers’ wishes as far as they are realistic and do not compromise with safety. Skipper needs to have his own cabin so he can get enough rest for all his duties during the day. Skipper does not cook. This is the responsibility of crew members, regardless if eating on board or dinning out. Crew members are baring the cost of food for the skipper. 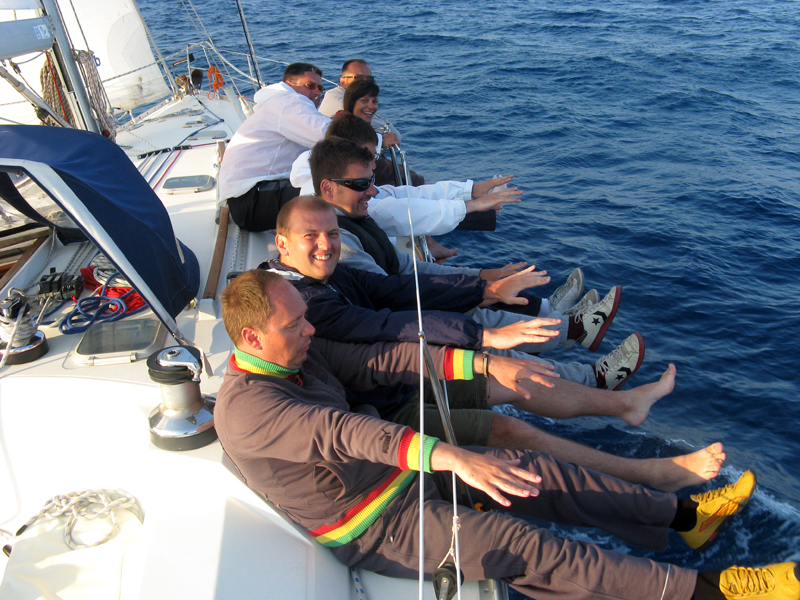 The most interesting offshore sailing experience: Sailing from Montenegro to Malta, Crete and Tunisia. 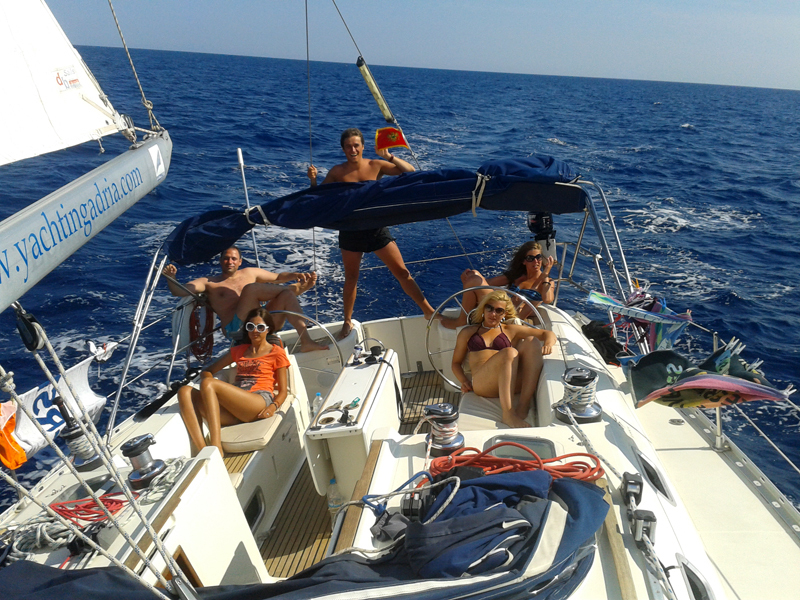 We had such a good time sailing with YachtingAdria and Skipper Nikola! He had such good recommendations for where to sail, swim and eat. Everything from start of booking to end of holiday went so smooth. Happy days! Our Skipper Nikola has been very professional: he takes great care of the safety of his passengers and his equipment: he knows Montenegro well and will advise you on stopovers. Nikola is a seasoned seaman who perfectly masters his boat. On board, Nikola was able to be friendly while remaining discreet: the ideal skipper! Our holiday was awesome! We were all so relaxed as if we were sailing for years! I knew that seven days will not be enough but I was not sure how the rest of the crew is going to take it since some of them have sailed for the first time. We are going to sail two weeks next year, this is certain! Thank you! We had great time! This was one of the best vacations ever! Thank you! Our sailing trip was very nice. Our skipper Dragan was very attentive and gave his best to keep our children happy. We have visited most beautiful places in Montenegro and south Croatia, it was great fun. Our skipper was very professional. Highly recommended. We are sadly back in Amsterdam now - 15 degrees and raining. We had such a fabulous trip, thank you so much for your professional help in arranging it. The holiday was super, really relaxing and exactly what we needed. Our Skipper, Kolja, was also great (a good fit with our group), and the itinerary was perfect (I especially liked Bigova and Kotor). Thanks again! Our vacation was like a fairy tale and we thank our dear skipper Nikola for that! He surely had hard time with three demanding women but he dealt with it like a hero! Thank you again and see you next year. Our Montenegro trip with YachtingAdria was fantastic from start to finish! 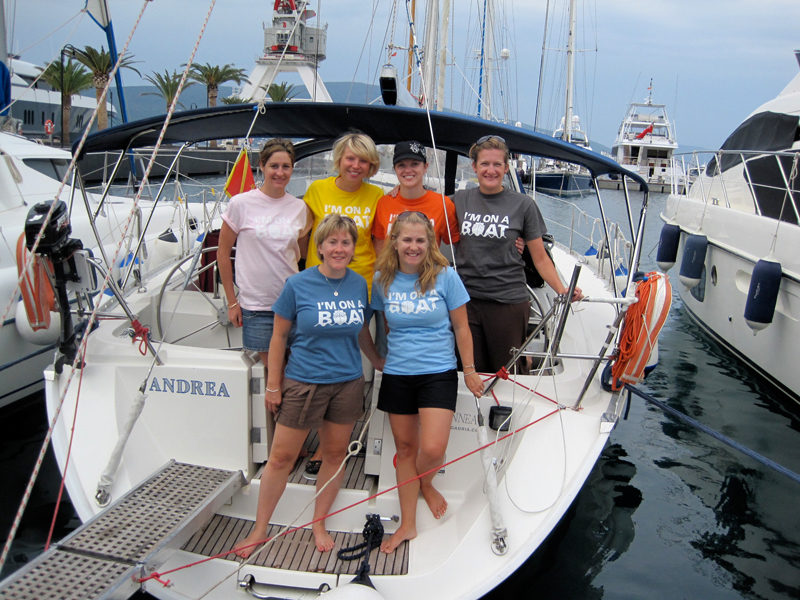 While we were planning our trip, the staff at Yachtingadria were extremely helpful answering all our questions and helping us make arrangements for transportation, accommodation and advice on what to pack. Once we arrived in Montenegro everything was taken care of so we could relax and enjoy our trip. 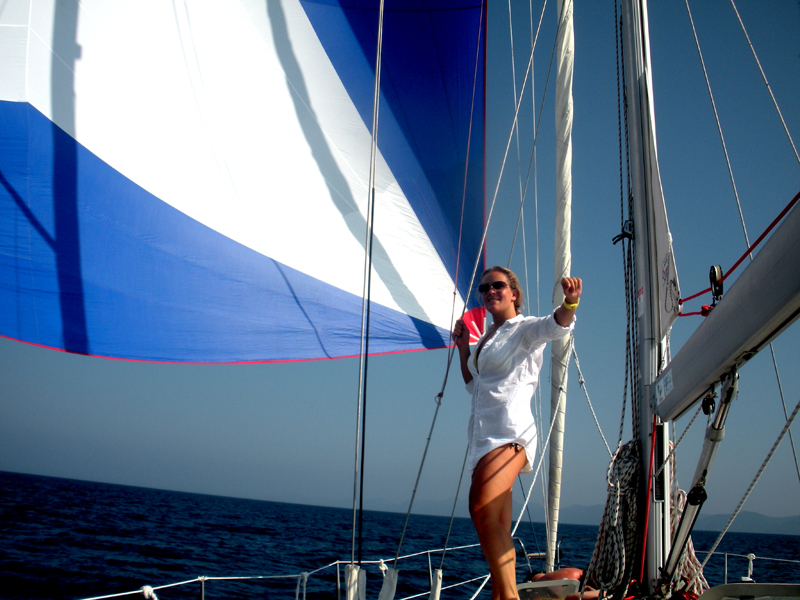 The 7 day trip we did would be great for all ages and all levels of sailing experience. We designed the trip the way we wanted it - what marinas we wanted to visit, how long we spent in towns, how much time we spent sailing - so it kept everyone in our group happy and enjoying the vacation. With the help of our captain Nikola, we took advantage of opportunities to see and experience local culture we would have never been able to do on our own. We would recommend this trip for anyone wanting a great vacation with a mix of relaxing, swimming, sightseeing, sailing and lots of stories and fun memories! We hope to go back and do the trip again soon!